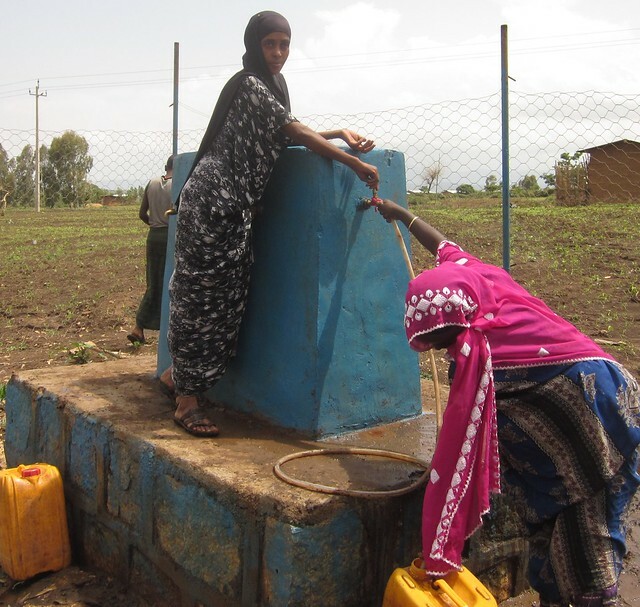 OROMIA and SOMALI, February 2017 – Poor menstrual hygiene management (MHM) negatively impacts the education, health and empowerment of girls and women, as well as the environment. 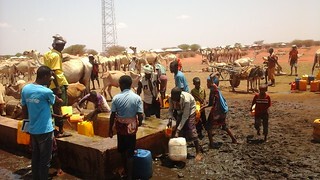 The impacts are compounded during emergencies, such as the protracted drought crises across Ethiopia. What fuels these negative effects of managing menstruation are cultural taboos and other societal barriers. 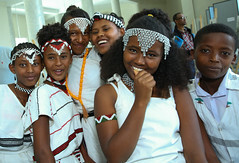 Girls across Ethiopia face social, cultural and economic barriers related to menstruation which not only prevents their right to dignity, but often prevents their right to education due to inadequate menstrual hygiene education, insufficient WASH facilities and poor access to sanitary materials. 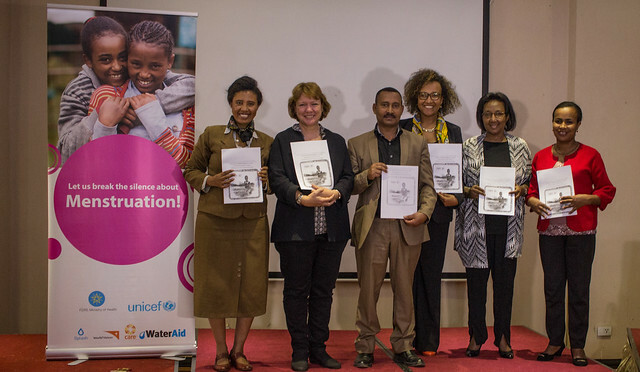 With support from the Netherlands Government, UNICEF Ethiopia, in partnership with regional health and education bureaus (RHB, REB), is implementing an MHM programme to break the silence and bring change in beliefs and attitudes towards menstruation. 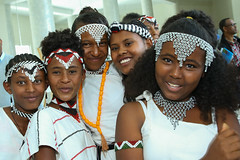 The programme aims to support girls and women across the country to overcome the barriers that prohibit them from managing menstruation with dignity. 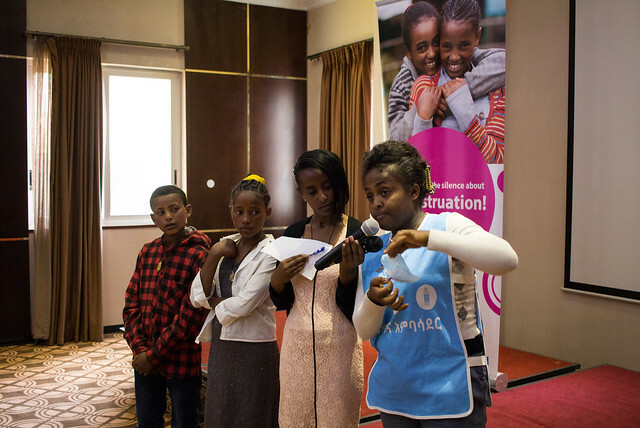 Menstrual hygiene management is a complex and sensitive issue that requires a contextualized, multi-sectoral approach to adequately support girls and women across Ethiopia. 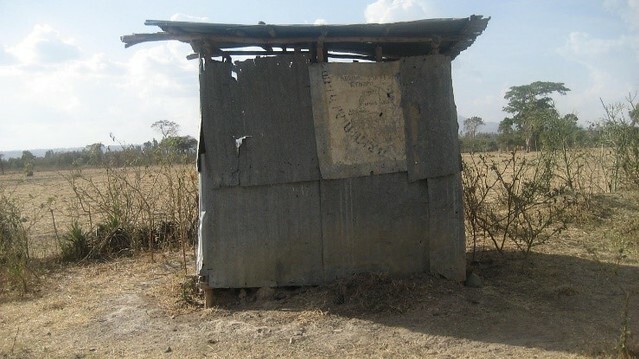 A package of services that leads to improved MHM includes private, minimum-standard toilets, handwashing stations and adequate waste disposal in addition to allowing the safe space for discussion to increase awareness amongst men, boys and girls utilizing social and behavioural change communication (SBCC) methods. In addition, improvements in the supply chain for sanitary pad production complements the community- and school-based efforts in MHM. 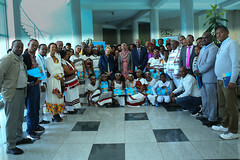 In collaboration with UNICEF, the Ethiopia Ministry of Health developed a national MHM guide based on the package of services, which is designed to address the topic across the contexts of schools, communities and workplaces as well as in emergencies. 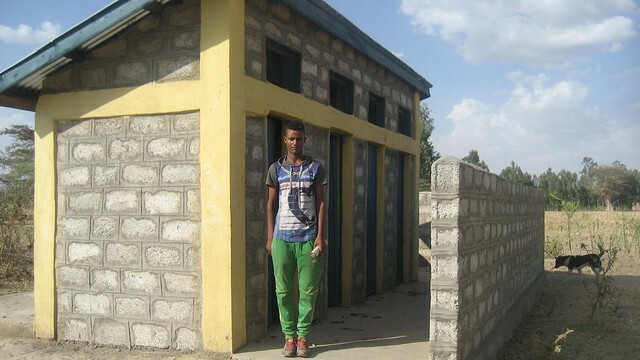 By working with both the RHB and the REB, and supporting the development of a sanitary supply chain, improved MHM facilities and services will keep girls in school where they can reach their full potential. On 15 February 2017, UNICEF kicked off the community- and school-focused MHM training of trainers (ToT) workshops for a total of 120 staff of the RHB and the REB in Oromia and Somali regions. 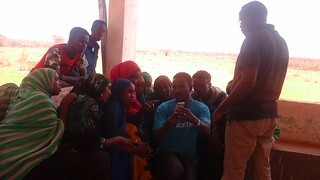 These were the first of such trainings made possible by support from the Netherlands Government. The TOT workshop established coordination between the education and health sectors and equipped focal persons with global, national and regional menstruation facts. It also introduced participants to the MHM package of services: SBCC activities concerning menstruation, establishing safe spaces to enable girls to receive peer support, counselling and emergency kits as well as improved WASH facilities and sanitary pad production. The regional and woreda (district) focal persons who participated in the ToT, in turn will cascade the training to health extension workers (HEWs), school management committees and school club coordinators (teachers). The trained HEWs and teachers will then facilitate activities for the Health Development Army and the WASH, gender and girls’ club members in their respective areas. The sanitary pad supply chain component of the programme establishes women’s groups to produce reusable sanitary pads and provides support to local manufacturers through partnerships to improve the production, packaging, distribution and use of sanitary pad products in target regions. On the manufacturing end, partner companies will engage in backward integration of the production of raw materials such as absorbents and liners. 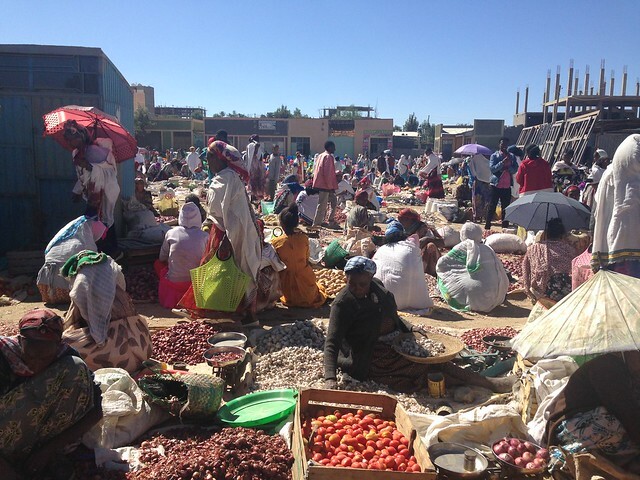 On the sales end, pharmaceutical and family planning outlets, such as pharmacies, drug stores and clinics, will be utilized at local and regional levels to bring the improved products to communities. 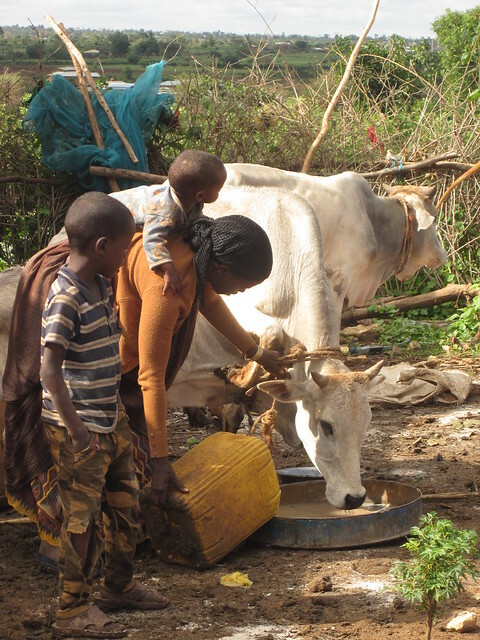 Additional MHM training and launch workshops are planned to kick off in March and April 2017 in Gambella, SNNP and Afar regions. 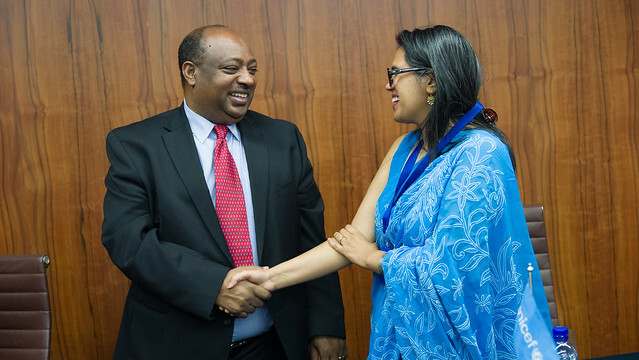 Together with Government partners, UNICEF will support the positive change in the dynamics of MHM in Ethiopia and contribute to better futures of girls across the country.